Verizon posted flat overall sales for the last quarter of 2018, continued growth in retail postpaid net mobile customer lines, continued growth in FiOS services, and a steeper loss in its media business. For 2019, the big hope is on 5G. The company's guidance is for overall revenue (GAAP) to remain a low single digit. "Verizon finished 2018 by delivering solid financial and operational performance, as evidenced by our strong wireless service revenue and earnings growth," said CEO Hans Vestberg. "2018 was a remarkable year full of 5G firsts, including being first in the world to commercially deploy 5G with our 5G Home product. As we head into 2019 and the 5G era, we're beginning a period of transformational change. We are laser focused on delivering customers a best-in-class and game-changing experience on our networks." Verizon reported Q4 2018 revenue $34.3 billion, up 1.0 percent from fourth-quarter 2017. EPS for the quarter was 47 cents, compared with $4.56 in fourth-quarter 2017. 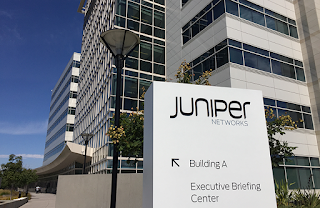 Juniper Networks reported Q4 2018 preliminary net revenues of $1,181.0 million, a decrease of 5% year-over-year, and flat sequentially. GAAP operating margin was 16.7% and non-GAAP operating margin was 21.1%. GAAP net income was $192.2 million, compared to a net loss of $148.1 million in the fourth quarter in 2017, and a decrease of 14% sequentially, resulting in diluted earnings per share of $0.55. The year-over-year change in GAAP net income was primarily due to a lower effective tax rate. Non-GAAP net income was $205.7 million, an increase of 3% year-over-year and an increase of 8% sequentially, resulting in non-GAAP diluted earnings per share of $0.59. In security, Juniper experienced 34% quarter over quarter and 18% year over year growth, and surpassed $100 million in quarterly revenue for the first time in several years. The company is confident that its security business will grow in 2019. Juniper’s enterprise business grew 13% quarter over quarter and 14% year over year due to broad based strength across products and geographies. Juniper is optimistic this business will continue to see healthy trends in the coming quarters and remain a growth driver for the company in 2019. The company’s software business grew 32% year over year and accounted for more than 10% of total revenue during Q4 ’18. While the company continued to experience weakness within the cloud and service provider verticals, the 400G transition will present opportunities for Juniper to take share later this year. Additionally, Juniper’s MX5G product refresh, Contrail solutions and partnership with Ericsson position the company to capitalize on carrier 5G deployments. Regarding its Q1 revenue outlook, Juniper said it sees continued weakness with cloud customers. The outlook also factors in changes to its go-to-market organization, the partial US federal government shutdown and geopolitical uncertainty. Juniper expects to return to year-over-year growth at some point in the second half of the year. Revenue will be approximately $980 million, plus or minus $30 million. Non-GAAP gross margin will be approximately 58.5%, plus or minus 1%. Non-GAAP operating expenses will be approximately $485 million, plus or minus $5 million. Non-GAAP operating margin will be approximately 9% at the midpoint of revenue guidance. Non-GAAP net income per share will be approximately $0.20, plus or minus $0.03. This assumes a share count of approximately 349 million. NEC has been awarded a turnkey contract to be the system supplier for the SxS Cable System (SxS), a 10,500-kilometer subsea cable system that will directly connect Guam and California. The SxS cable has an initial design capacity of more than 96 terabits per second (Tbps). The project is commissioned by RTI Connectivity Pte. Ltd. (RTI-C). RTI-C is headquartered in Singapore, and RTI is headquartered in San Francisco, California. Spectra7 Microsystems and Foxconn Interconnect Technology (FIT) are demonstrating Active Copper Cable (ACC) interconnects supporting the new SFP-DD standard for higher speed and higher density server connections at this week's DesignCon 2019 expo in Santa Clara, California. The cables use Spectra7’s low-power analog GaugeChanger chips to enable 4X increase in bandwidth over currently deployed SFP28 interconnects in hyperscale and enterprise data centers. The cost of coherent optical ports continues to drop steeply, according to a newly published report from Cignal AI using data from 3Q18. Trend analysis is provided based on past performance and future expectations as the industry migrates to fourth-generation solutions (400ZR). Vendors included in the report are ADVA, Ciena, Cisco, Coriant, Fujitsu, Huawei, Infinera, Nokia, and ZTE. All vendors tracked in the report shipped 200G-capable optics last year. Prices for 100G equivalent coherent optical ports have dropped exponentially. 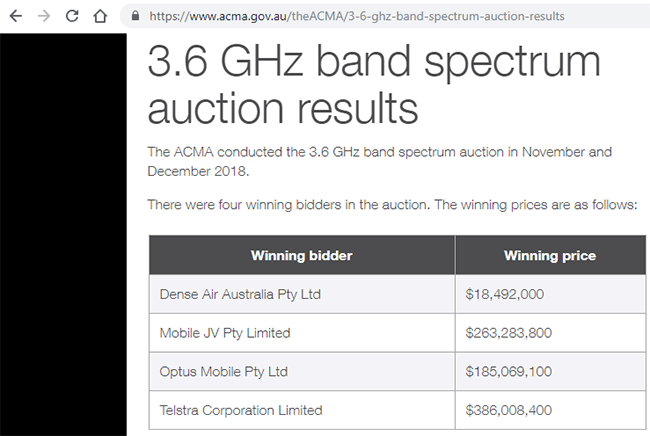 The cost of deploying new coherent bandwidth has been CapEx neutral. The trend toward lower prices and converging component costs benefits vertically integrated vendors long term. TPG Telecom will cease the rollout its mobile network following the decision of the Australian federal government to ban the use of Huawei equipment in 5G networks due to national security concerns. TPG Telecom made the announcement in a regulatory filing to the Australian Securities Exchange. TPG said it had selected Huawei as its principal supplier of 5G equipment because of the clear upgrade path for its current infrastructure, which also uses Huawei. Because the upgrade path is now blocked, TPG said it does not make economic sense for the company to continue investing in its current network either. TPG stated that it has not found any solutions to address the Huawei ban. Furthermore, TPG noted that has spent A$100 million in CAPEX. Prior to when the Huawei ban was announced in August 2018, is had purchased Huawei equipment for 1,500 sites. So far, it has completed the rollout to 900 small cell sites. TPG Executive Chairman David Teoh stated "It is extremely disappointing that the clear strategy the Company had to become a mobile network operator at the forefront of 5G has been undone by factors outside of TPG's control. Over the past two years a huge amount of time and resource have been invested in creating and delivering on a strategy that would have positioned TPG very favourably to exploit the opportunities that the advent of 5G will present." TPG does not expect the decision to bear on its FY19 guidance, nor does it expect to write-down the mobile network investment capitalised to date. BT has received nationwide licences from the China Ministry of Industry and Information Technology. Specifically, the two ‘value added licences’, China nationwide Domestic IP-VPN licence and China nationwide Internet Service Provider (ISP) licence, enable BT China Communications Limited to contract directly with its customers in the country and bill them in local currency. BT said the licences represent a major step for its business in China, where many of its multinational customers require secure and reliable connectivity to expand within the country. International Trade Secretary, Dr Liam Fox MP said: "I am very pleased that close cooperation between the UK and Chinese governments has resulted in BT securing these licences which will enable it to operate across the country. This major milestone exemplifies the vital work of my international economic department to open up markets and ensure that UK firms are represented on the global stage." 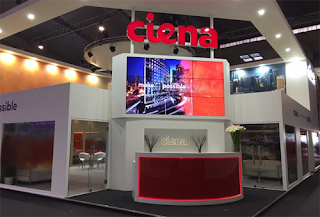 Vianet Communications, one of the largest fixed broadband operators in Nepal, has chosen Ciena’s 6500 Packet-Optical Platform and 5160 Service Aggregation Switch. The deployment is expected to improve intracity connectivity in Kathmandu and provide international connectivity between Nepal and other countries. Additionally, Ciena’s network management software will enable a greater level of control over Vianet’s network, providing end-to-end visibility of its services across all transport, switching and packet elements. “Operators around the world are looking for adaptive networking solutions to help meet the low latency and highly reliable connectivity rates required to support streaming services, virtual reality, artificial intelligence and other advanced services. Ciena’s collaboration with Vianet, our first customer in Nepal, gives them the network it needs to meet consumer demands and remain competitive,” stated Ryan Perera, Vice President and General Manager, Ciena India. 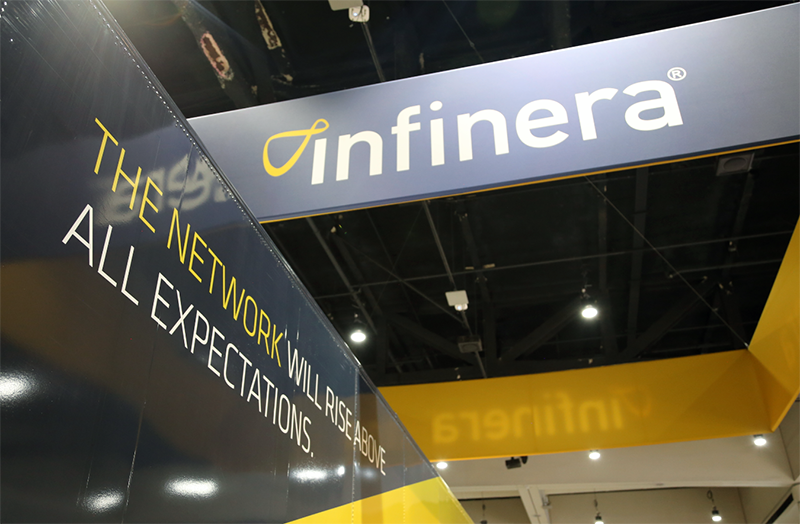 Infinera has appointed Greg Dougherty to its board of directors, effective immediately. Most recently, Dougherty served as Chief Executive Officer of Oclaro from June 2013 until its acquisition by Lumentum in December 2018. He also served as a director of Oclaro from April 2009 to the completion of the sale in December 2018. Prior to Oclaro, Mr. Dougherty served as a director of Avanex Corporation, a leading global provider of intelligent photonic solutions, from April 2005 to April 2009, when Avanex and Bookham merged to become Oclaro. Infinera also announced that John P. Daane, a member of the Infinera board of directors since January 2016, will not stand for reelection at the upcoming 2019 Annual Meeting of Stockholders. Samsung Electronics has begun mass producing the industry’s first one-terabyte (TB) embedded Universal Flash Storage (eUFS) 2.1, for use in mobiles, double the previous 512 MB max. The device uses 16 stacked layers of Samsung’s most advanced 512-gigabit (Gb) V-NAND flash memory and a newly developed proprietary controller. Breaking the 1 TB barrier for smartphone storage comes just four years after introducing the first UFS solution, the 128-gigabyte (GB) eUFS. Samsung's 1TB eUFS can transfer data at up to 1,000 MB/s, the new eUFS features approximately twice the sequential read speed of a typical 2.5-inch SATA solid state drive (SSD). Microsoft Azure will begin offering NVIDIA Tesla GPU-accelerated Quadro Virtual Workstation (Quadro vWS). Customers can spin up a GPU-accelerated virtual workstation in minutes from the Azure marketplace without having to manage endpoints or back-end infrastructure. "We’re focused on delivering the best and broadest range of GPU-accelerated capabilities in the public cloud,” said Talal Alqinawi, senior director of Microsoft Azure at Microsoft Corp. “NVIDIA Quadro vWS expands customer choice of GPU offerings on Azure to bring powerful professional workstations in the cloud to meet the needs of the most demanding applications from any device, anywhere."